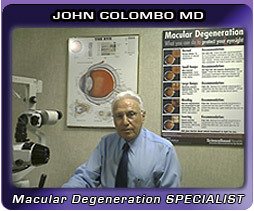 "EYE DOCTOR with 50 years experience Treating Macular Degeneration, releases his Liquid Eye Product Eyes-N-MORE® to the Public and Medical Society"
"With Proven Effective Ingredients for Treating DRY Type Macular Degeneration"
"Swallowing Pills was difficult for me and this product has been a godsend. Now all I do is take my capful in the morning and feel great all day! I used to spend about $130 each month on supplements and no longer take anything but eyesnmore." LIQUID Eyes-N-More®, is an absolutely amazing, unequaled and result achieving Liquid Eye and Whole Body Supplement formula for Macular Degeneration. Until recently, Eyes-N-More® was only available to Physicians for their exclusive use in the prevention and treatment of Age-Related Macular Degeneration. NOW, this result-producing formula is available to the general public and WITHOUT a prescription! Eyes-N-More® is a High Potency Liquid Eye and Whole Body Nutraceutical Supplement developed BY an EYE DOCTOR for the treatment of Macular Degeneration, various Vision Conditions and Energy Enhancement. As a liquid, it is only necessary to take a single fluid ounce of Eyes-N-More® daily to receive an extremely concentrated combination of proven and effective Antioxidants such as Lutein, Zeaxanthin, Astaxathin, Zinc, Copper, Vitamin C, Vitamin E, Bilberry, Grape Seed, Vitamin A and Omega 3’s necessary for health of your Eyes and maintenance of good Vision. Eyes-N-More® contains an additional complex and very potent regimen of essential Vitamins and Nutrients designed to promote a solid and healthy WHOLE BODY foundation necessary to combat the effects and progression of Age-Related Macular Degeneration, early aging and other visual disturbances. Eyes-N-More® by virtue of its core ingredients which have been proven to be significantly effective in the prevention and treatment of DRY TYPE Macular Degeneration by both the AREDS-I and AREDS-II studies, additionally, have been beneficial in reducing the progression of the disease as well as, in some cases, reversing the process. Eyes-N-More®, because of its liquid format, has an absorption rate into the blood stream approaching 97% as compared to an absorption rate of only 10% to 15% as provided by a Tablet or a Capsule. This allows liquid Eyes-N-More® to be significantly more effective and potent and rapidly assimilated into the blood stream. Eyes-N-More’s® extensive multi-formula of 41 Pharmaceutical grade ingredients is an extremely cost-effective and affordable choice for everyone. If you’re like most people today, you’re probably taking several expensive supplements daily or even several times during the day and ONLY getting 10% or 15% of what you’re putting into your mouth into your blood stream. That certainly can’t be a cost-effective way to do things? RISK FREE GUARANTEE - If after taking as directed for 30 days, and Eyes-N-MORE isn't everything we say it is, and you don't SEE and FEEL a difference, simply send* it back and we'll refund your product purchase price. No questions asked!! Copyright © 2011 eyesnmore.net. All Rights Reserved.